What is a multi-start flexure? Learn how VISI from Vero Software assists Atlantic Tool & Die with the design of complex progressive dies for the automotive industry. The company primarily serves the automotive sector as a direct-to-OEM, Tier-1, and Tier-2 supplier. 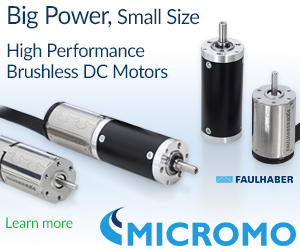 Learn more about high-performance brushless DC motors from MICROMO. DuPont and Fujian Longxi Bearing have teamed up to achieve a breakthrough in the use of self-lubricating spherical bearings in aircraft design -- specifically, self-lubricating bearings for use in the actuation of airframe control systems. This application is a first for the industry. David Camarillo, whose Stanford lab works on understanding and preventing concussion, decided to test a new type of inflatable helmet that is available in some European countries. While he doesn’t doubt that wearing a helmet is better than no helmet at all, Camarillo thinks that traditional helmets don’t protect riders as well as they could. Engineers at NASA’s Glenn Research Center in Cleveland are testing a new fan and inlet design, commonly called a propulsor, that could increase fuel efficiency by 4 to 8 percent more than the advanced engine designs airlines are beginning to use. To make the act of switching on the town’s Christmas tree lights even more exciting, Latvian e-commerce company Scandiweb constructed the world’s Largest Rube Goldberg contraption for the people of Riga. Recognized by Guinness World Records, the feat is also, arguably, the most elaborate way anyone has invented to turn on some festive lights. The chain reaction consisted of 412 individual mechanical steps. It took two months to construct. The U.S. government has awarded a patent to an employee of the U.S. Army Aviation and Missile Research, Development and Engineering Center at Redstone Arsenal for a design that reduces total munition weight and volume. How? By providing a projectile launcher with a permanent high-low pressure system within the launcher system itself, rather than in the ammunition. NASA has released its Spinoff 2017 publication, which takes a close look at 50 different companies that are using NASA technology -- innovations developed by NASA, with NASA funding, or under a contract with the agency -- in products that we all benefit from. Whether it’s the self-driving tractor that harvests food, cameras used in car-crash safety tests, or tools making brain surgery safer, read about how NASA technology plays a significant role in our daily lives. Check out NASA's Spinoff 2017. Goodfellow has introduced a new line of ceramic foams that can be manufactured in nonstandard sizes and shapes. 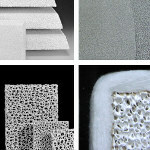 Materials currently available are silicon carbide, alumina, zirconia, or graphite based. Basic shapes (square, circle, rectangle) as well as custom shapes are offered without extra tooling costs. Sizes are up to 50 mm x 600 mm x 800 mm. Applications include filtration of: castings of cast iron, bronze, brass, and copper alloys (higher quality castings at lower production costs); aluminum and nonferrous metal alloys in cast houses (efficient and continuous mold filling); and aluminum and nonferrous metal alloys in foundries (special filter prints of the mold’s gating system). IKO's standard miniature bearings line is now available in rail widths from 1 mm to 25 mm, with wide-bearing options as high as 42 mm. 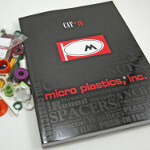 They are also available in up to four different lengths: compact, standard, long, and extra long in many sizes. The variety of widths and bearing lengths enables designers to easily tailor a mini bearing system to specific payload requirements. 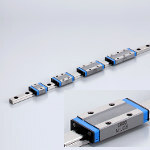 IKO's largest miniature linear bearings with the larger bearing lengths can handle much higher dynamic and moment loads than expected from a miniature unit, with dynamic load ratings in excess of 16,600 N (LWLG25) and moment load ratings over 320 Nm (MLFG42) in the roll axis. A C-Lube long-term lubrication system is integrated into many units. 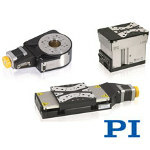 PI, a leading provider of nanopositioning and motion control solutions, has developed its new family of stepper motor-driven linear, rotary, and Z-axis stages to meet the demanding requirements of high-end industrial and research applications. What's more, the L-310 vertical stage, the L-611 rotary stage, and the L-511 linear translation stage can be combined to create 360-deg/XY/XYZ motion systems. A team of researchers studying why owl wings make little noise in flight is trying to improve the man-made aerodynamic designs of wind turbines, aircraft, naval ships, and automobiles. Using owl feathers as a model has inspired the design of a 3D-printed wing attachment that reduces wind turbine noise by an impressive 10 decibels -- without impacting aerodynamics. The buzz over 3D printing, or additive manufacturing, has created a lot of speculation in the trade press about whether this technology, which has been around for more than 30 years, is poised to make another giant leap forward in capabilities. 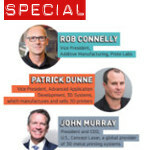 Three leaders from the 3D-printing industry -- 3D Systems, Proto Labs, and Concept Laser -- give their insights into the current and future state of this fastly evolving technology. A team of UCF scientists has developed a new process for creating flexible supercapacitors that can store more energy and be recharged more than 30,000 times without degrading. The novel method from the University of Central Florida's NanoScience Technology Center could eventually revolutionize technology as varied as mobile phones and electric vehicles. A new Force Control Industries video details how MagnaShear electric release motor brakes require no maintenance or adjustment and boast service life that is often 10 times that of traditional dry braking systems. With models available with torque from 6 lb-ft to 1,250 lb-ft for NEMA motor frames 56 to 440, these proven products are ideal for a wide range of applications across all industries, including cranes/winches/hoists, palletizing, conveying, indexing, turnovers/dumpers, coal sampling, automotive production, marine winches/hoists, and more. A single-start spring is a single continuous-coil element that starts at one end and terminates at the other. This configuration is common to most springs. A "double start" spring has two intertwined continuous-coil elements phased 180 degrees apart. In effect, this puts two independent helixes in the same cylindrical plane. Multiple-start flexures, such as triple-start, are similar extensions of the concept. Helical Products spells out why you should consider single-, double-, or triple-start flexures when designing or choosing your next coupling or spring.